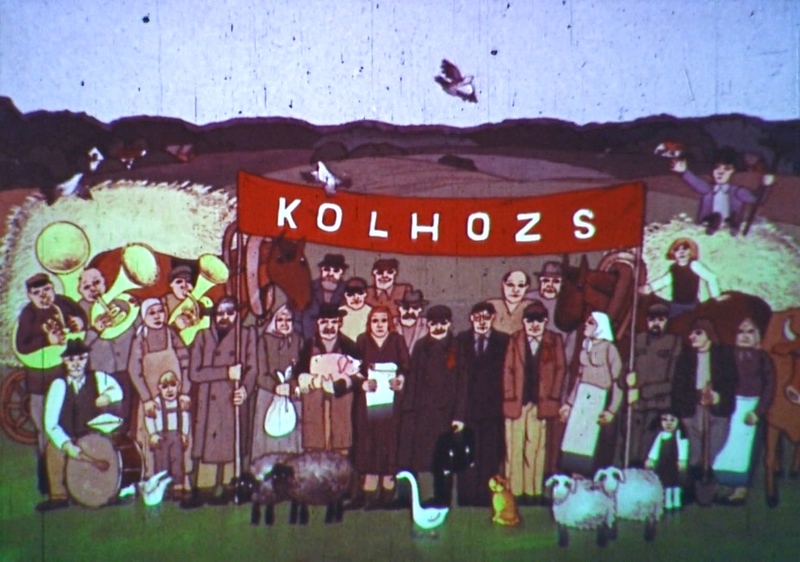 Still from the animated film, What's a Kolkhoz? With collectivization, the Latvian countryside went legs-up for the second time within twenty years. In 1920 the new Latvian government expropriated manor properties and sold them to landless farmers. In 1940 the occupying powers confiscated land and gave it to the remaining farmers who still didn't have land. About 55,000 new farms were set up thanks to the 1920 agrarian reform. Almost the same number – 52,000 – were set up as part of the 1940 reform. The difference was that the Soviets abolished private property. In 1920 the state nationalized, or confiscated, manors but created a new landowning class. In 1940 all property was nationalized and the land only remained un-owned but available to use. Bigger farmers, who owned at least 30 hectares of land, suffered the most as part of their land was confiscated to give it away. This reform was just the first step towards full collectivization. It aimed to "buy" the allegiance of the poor people and then drive them towards setting up kolkhozs. Jelgava's Nākotne (The Future) is considered to be the first kolkhoz in Latvia. Nākotne in Šķibe parish near Jelgava was the first kolkhoz in the Latvian SSR. It was set up November 20, 1946. 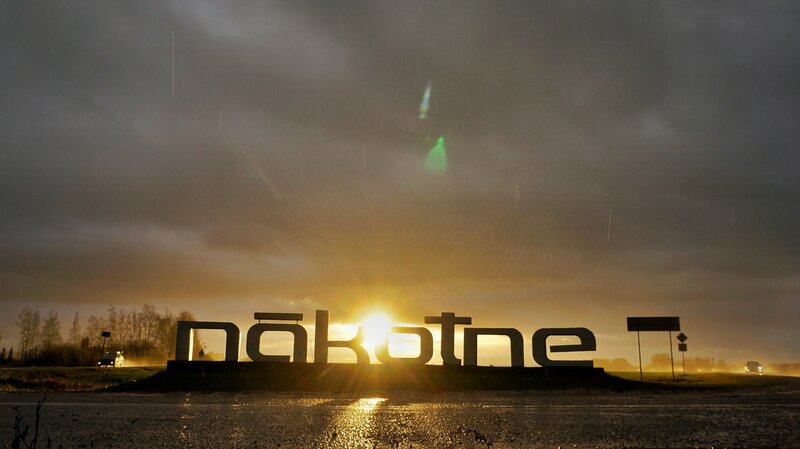 Back then, Nākotne was just a word that didn't really mean anything. Now many kolkhoz names have become toponyms. Initially Latvians were discouraged from joining kolkhozs. There was danger from being shot by the Forest Brother resistance, quite active in the post-war years. The Soviets tried dispelling this fear, offering tax breaks, electricity and phone connection at the kolkhozs. The basic gist of a kolkhoz was that farmers team up, giving up individual rights to their property and unifying it for a common purpose. The same goes for livestock and equipment. Wages are paid by the state. Collectivization soon took off. In 1947 there were four kolkhozes, in 1948 there were 76, in 1949 there were 890 and in March 1949 – 1,443. But even then the minority of farmers had joined the kolkhozs. This was solved swiftly by means of force. On March 25, 1949 the Soviets deported about 45,000 people to Siberia within a single day. 30,000 of them were charged for being kulaks or overly affluent peasants. Those who were allowed to stay in Latvia quickly caught on. Within 12 days, 1,740 kolkhozs were set up, more than in the past thirty months combined. By 1951, collectivization was all but finished, and they began uniting smaller kolkhozes into bigger ones. The names of the kolkhozs still live on; while the overtly communist ones were abandoned as the country regained independence, words like Stars (The Beam) and Nākotne are still observed as place names. In addition to names like Big October, Lenin's Way, May 9, etc., there was the particularly sinister and absurd phenomenon of communist folk songs, supposedly collected in the 50s and taken to be a counterpart to the Latvian dainas. Until his horse started sweating. Until your hair is wet. 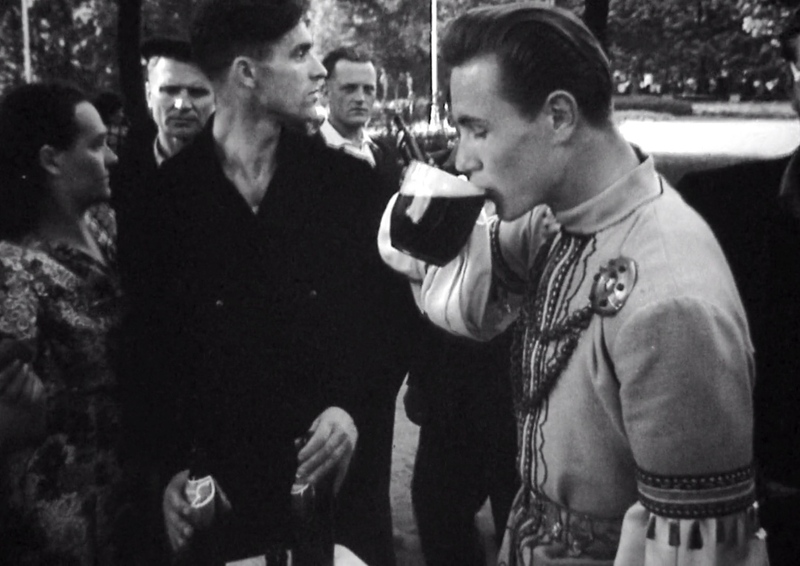 The Latvian country people took to drinking. Turned out, kolkhozs didn't really work. Especially in the early years, they were poor, had few supplies and low productivity. Farmers only had a tiny 0.5 hectare plot of land for their own use. Any livestock they owned was heavily taxed. Meanwhile there was compulsory work, and in all the state of the farmers was worse than under manor rule. You could buy land from the manor, but you couldn't leave the kolkhoz and have anything of your own. Serfdom had returned to Latvia, it seemed. Kolkhozs were able to return to pre-war productivity levels only after a couple of decades, and potato farming never became as efficient as during the interwar period. With Khrushchev's turn at the reins of power, agriculture once again returned to the fore, with improved financing, equipment and education. The aforementioned Nākotne (The Future) kolkhoz became one of the most productive collective farms across the Soviet Union. Arturs Čikste, a top manager, headed it for thirty years. 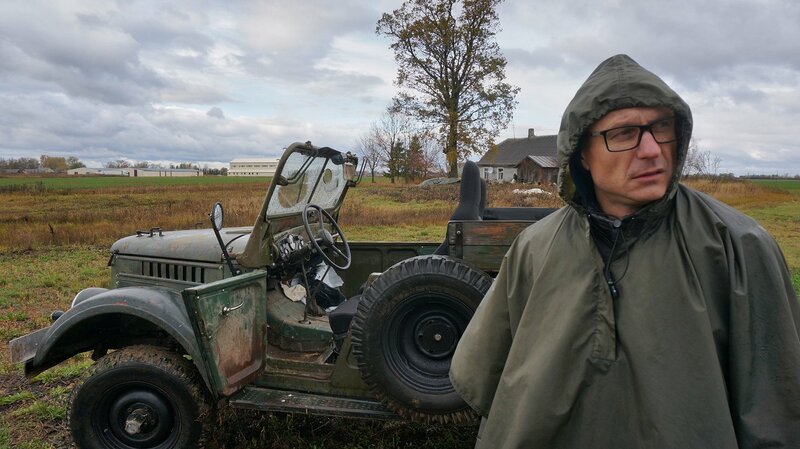 An unflinching figure and a hard worker, he saw to it that Nākotne became one of the largest kolkhozs in Latvia by the 1970s, growing from 135 hectares to 8,000. People were proud to say, as if in a sci-fi movie, that they're from the Future, or that they're living in the Future. Arturs Čikste, one of the top kolkhoz managers of all time. Nākotne became famous across the Soviet Union, with productivity at least 33% better than the average and wages about twice as large. 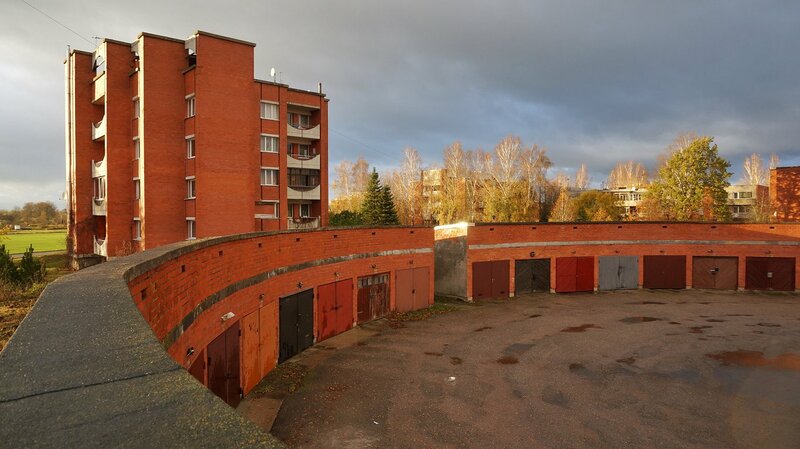 While the so-called kolkhoz centers were set up across Latvia, Nākotne's project was something special. Thanks to Čikste's ambition and know-how, the flats that still stand there were sun-lit and cozy. Apartments were given for free to stop people from flocking to the cities. The futuristic design of Nākotne. Despite concerted effort, the proportion of countryside-dwellers shrank from two-thirds to one-third during the Soviet occupation. The Latvian country landscape suffered greatly. In the 50s, the leaders of the Latvian SSR asked for money to level 100,000 country houses. This would make more room for arable land. The Latvian people may have changed with that as well, with the "centralization" dealing blows to the independent, private spirit of the Latvians. Stealing became rampant. Why eat your own potatoes if you can take from what rightfully belongs to everyone else? By the 1980s, kolkhozs had become a cornerstone of life in the Latvian SSR. 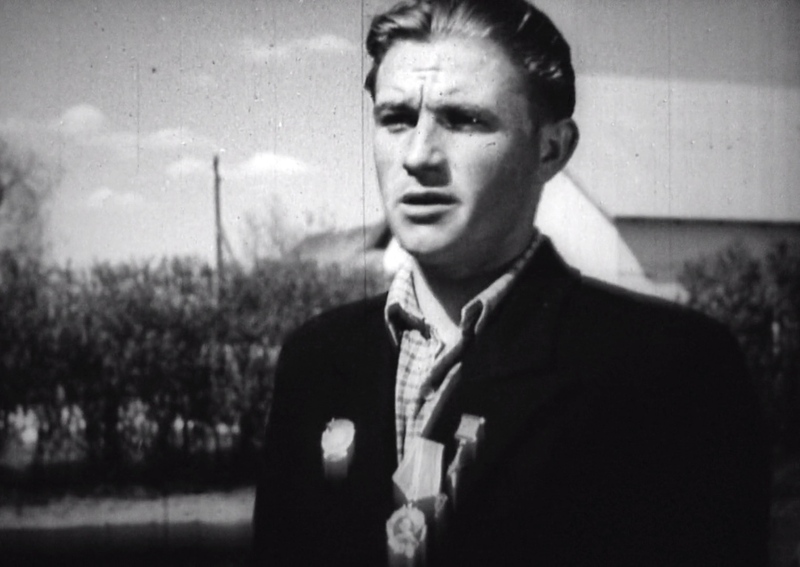 The famed poet Imants Ziedonis wrote verse for an animated propaganda film about kolkhozs. Many famous Latvian bands, like Jumprava, took their name from the kolkhozs. 30 years after the fall of kolkhozs, people from Nākotne remember their leader Čikste as a benign father figure. There are books and exhibitions dedicated to him, and even a memorial plaque. There's a split-mind thing going on with the memory of the kolkhozs. Collectivization wrecked the Latvian countryside. But for two generations, it was the only life they knew, and therefore the best life there was. Even if the people knew -- most didn't -- that they were residing in a topsy-turvy reality, they accepted its rules and lived as well as they could, trying to set up an ideal world in an inherently flawed universe. They did not have any other option.